Every good story has a beginning, middle, and end. 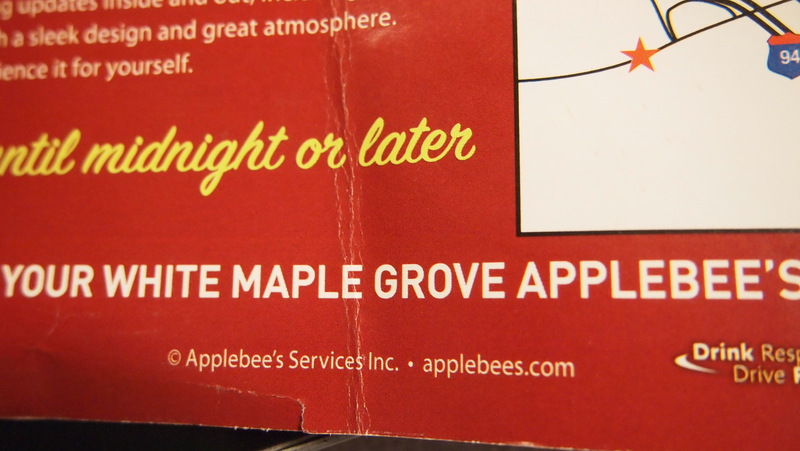 This story begins with a note from a long lost friend needing a small favor. My old colleague Cortney Napurski always had sharp skills and big ambitions. She’s more than proven it in the past four years, no longer the young journalist just out of college. During that time she’s chased dreams while the rest of us chased paychecks. And all the while she became the kind of young woman who no longer fits on a one page resume: a Londoner, master’s graduate, and a mother. Now, she’s chasing another dream called a PhD. It’s also where her note fits in asking for a letter of recommendation for a research grant. What Cortney hopes to prove is that literature is a better tool at teaching history than by forcing kids to memorize dates, facts and names from a text book. In other words, she’s attempting to prove what her journalism background has instinctively taught her—the instructional power of the narrative. The best journalism has always been a collection of verifiable facts woven into narrative form. Narratives are the glue by which humans cognitively communicate and connect with one another. There’s a reason why the Anasazi carved petroglyphs, why Homer wrote poems, why Jesus told parables—because they work. We use narratives to sell and define products, presidential candidates, even ourselves. They tell the story of our lives, even our careers. As a reporter, I’ve written hundreds of narratives. But ask my colleagues about the one that perhaps best defines me as a storyteller, and they’ll most often say it’s a little ditty called Motown. It’s a memorable gem I had the honor to co-write with NPPA National Photographer of the Year Andy Shilts. What Motown Adams teaches us is that we all have a story to tell. Motown’s story is one of redemption. Watch it once and you’ll remember him forever. And that’s exactly why my friend Cortney is onto something. If literary narratives from the early 20th century can elicit the same connection and emotion, then Cortney is hypothesizing they can also become an effective teaching tool that connects students to the people, culture, events, and higher level values of that time. The new campaign is the brainchild of ARC and the creative team at IDEO in Palo Alto, California. IDEO is fundamentally a design firm, known for creating breakthrough products such as the Apple mouse. At its core, IDEO helps people channel creativity to solve problems. Somalia is a big problem, but its team worked with ARC to un-harness the creative energy of everyday people to not just feed starving people, but to create a conversation about it. Instead of forming a traditional campaign pumping out one-way messages about Somalia, ARC’s Daniel Wordsworth says the “I Am A Star” effort creates a multi-channel dialogue. “Here is a chance for folks in Minnesota, in the US and all over the world to say this shouldn’t be like this and that we can make a difference. And what we’re trying to do is launch a campaign that says you can make a difference and we want you to do it your way,” said Wordsworth. It’s already working. Inspired to do something, Mohamed Samatar and Bonnie Bentson formed their own 5K Run called “Run to Unite.” They are among the first “Stars” in the new ARC sky. That’s what happens when you ask people to look inward. That’s personal empowerment and the beginning of a potentially powerful brand. Look for my story on ARC and how it’s trying to change the conversation on Somalia on Fox 9 News Saturday night right after baseball. If it’s true that freedom bears a heavy price, then it comes in a heavy box, too. In this case freedom’s box weighs 135 pounds and is delivered by UPS. Sixty years ago, it was delivered by the U.S. 8th Air Force. A B-24 crew member by the name of Wally Grotz was among the brave airmen who delivered freedom to the people of Poland in the form of heavy bombs raining down on the Nazi’s. For his bravery, he paid an equally heavy price: shot down, captured, and imprisoned. “Freedom is a wonderful thing and you don’t know what it really is until you don’t have it anymore,” said Grotz. The German Luftwaffe sent Grotz to the infamous Stalag Luft IV near Koszalin, Poland. By the end of the war it would house 7,000 American POW’s. He spent two months there before the Germans forced him and hundreds of other prisoners on a 500 mile march to Berlin. Grotz was among the few to survive the march. The Russians and British finally liberated him as they closed in and the Third Reich collapsed. Grotz never forgot the experience. Neither did Poland. When the Pomerania region of Poland dedicated the old Stalag Luft IV site as a memorial in 2006, Grotz was the only living American POW to return. They raised a statue to the airmen of the U.S. 8th Air Force but the sculptor, Zygmunt Wujek, wanted to give Grotz something more. This week if finally arrived—the box of freedom. It took two hammers and a crowbar for Wally and his son Jim to pry open the box’s green wooden slats. They pulled at the packing Styrofoam like curious kids on Christmas morning to finally reveal the surprise. 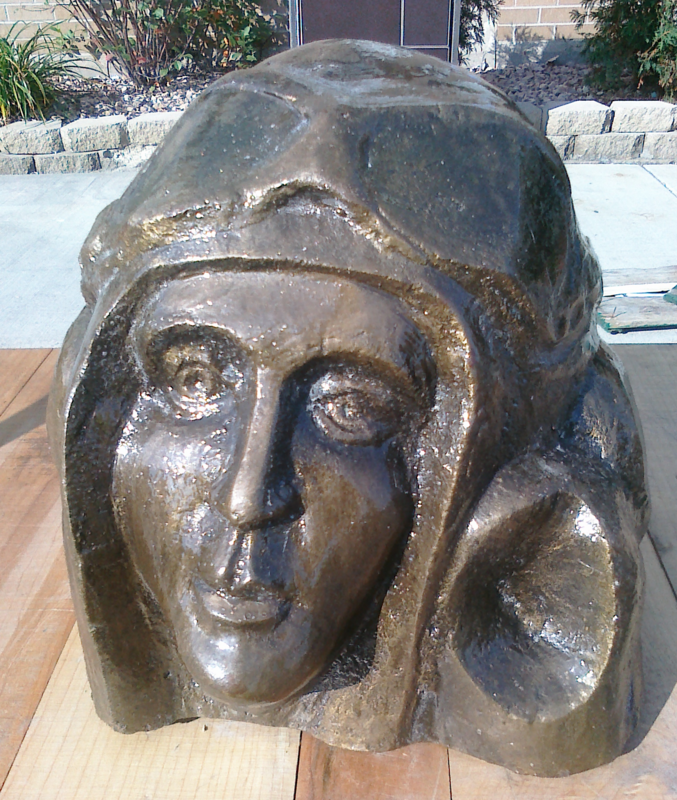 There, gleaming in the October Minnesota sun was a bronze bust of an American airman. An exact replica of the statue dedicated at Stalag Luft IV in Poland. To the Pole’s it might as well be their version of the Statue of Liberty. Grotz has accepted the sculpture on behalf of all his fellow 8th Air Force veterans. He intends to display it in the lobby of the Veterans Hospital Minneapolis. Then, on Veterans’ Day he and his family will drive it to the 8th Air Force Museum in Pooler, Georgia where curators will display the sculpture among its permanent collection. Grotz’s family, especially his son Jim could not be more humbled. “I think it’s a very fitting tribute to all veterans of this country that people of a small region of the world would come back after the fact and say, ‘Thank you veterans for having made us a free nation,’” said Jim. Yes, freedom has a price. In this case it comes with deep gratitude, and a box that can no longer carry it.